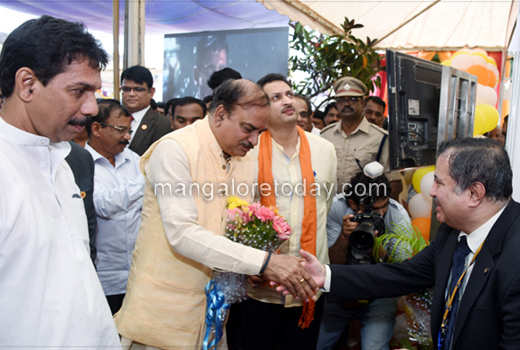 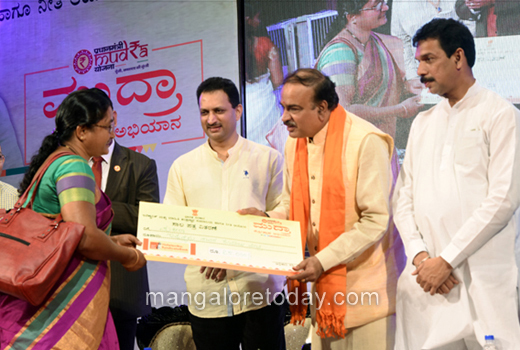 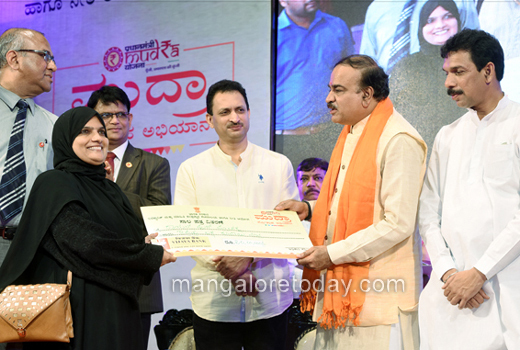 Mangaluru, Oct 16, 2017: Union Minister for Chemicals, Fertilizers and Parliamentary Affairs Ananth Kumar has said that Karnataka stands first in utilising the Pradhan Mantri Mudra Yojana. 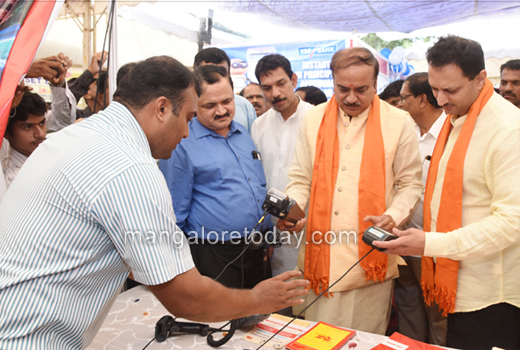 He also said the scheme has benefitted 8.4 crore people so far. 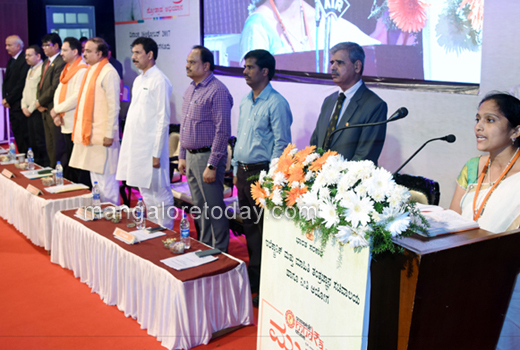 He was speaking after inaugurating the Mudra Promotion Campaign along with Union Minister for Skill Development Ananth Kumar Hegde at Town Hall here on October 16, Monday. 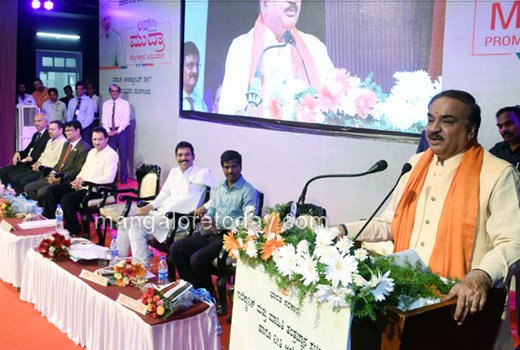 He said Karnataka could achieve development as the Union Government has not shown any discrimination towards the state which has a Congress Government. 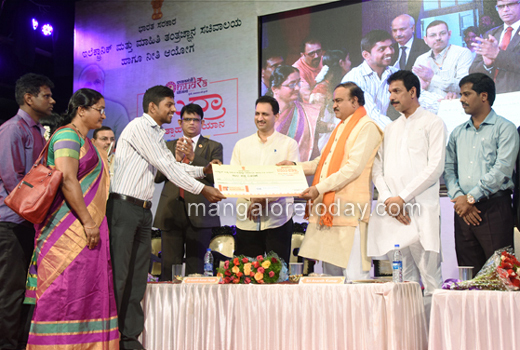 He also called upon the beneficiaries of the scheme to make use of the money meaningfully. 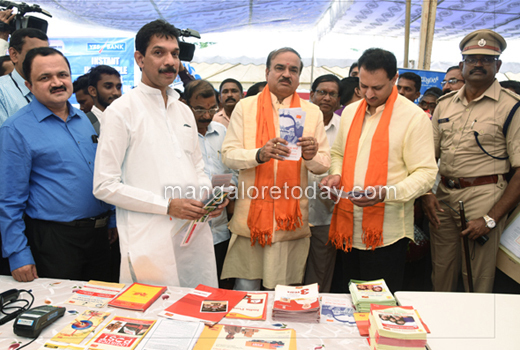 Ananth Kumar Hegde who also spoke said the government is providing all necessary facilities for entrepreneurs. 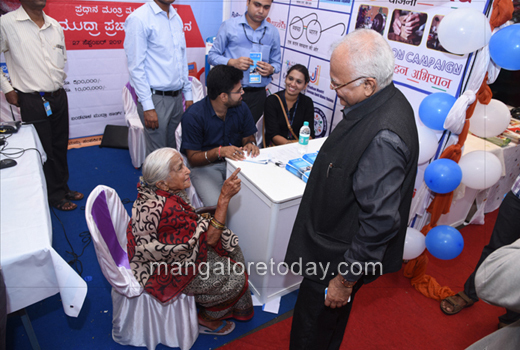 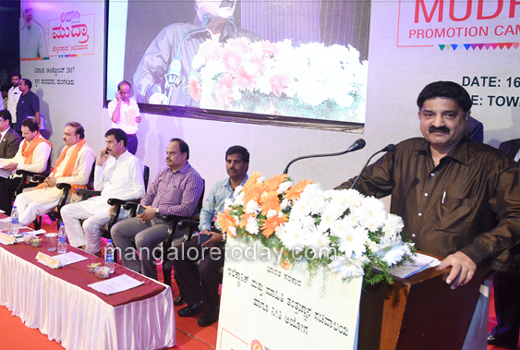 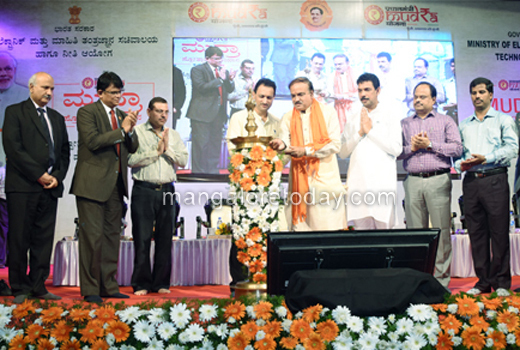 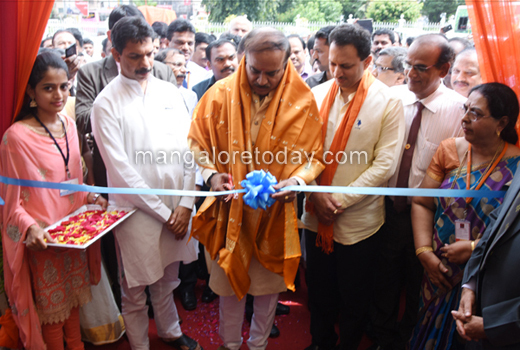 Dakshina Kannada MP Nalin Kumar Kateel presided over the function. 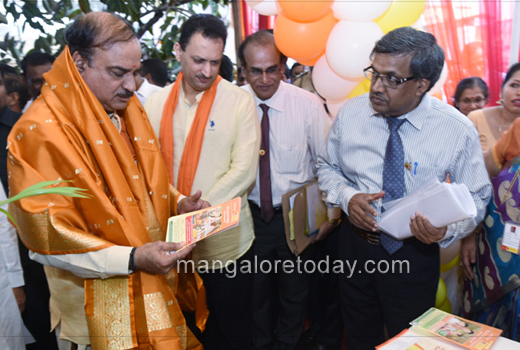 Kumar, Additional DC, Gopal Murli Bhagath, Executive Director of Corporation Bank, SS Mallikarjuna Rao, Executive Director of Syndicate Bank and others were present.